A major new report prepared for the Global Forum to Combat Antisemitism, “Measuring the Hate: The State of Antisemitism in Social Media”, highlights that not enough is being done to combat antisemitism in social media. The report, based on tracking over 2,000 items of antisemitism over the last 10 months, found that only 20% of the items were removed. Traditional antisemitism made up almost half the sample and covered content such as conspiracy theories, racial slurs, and accusations such as the blood libel. 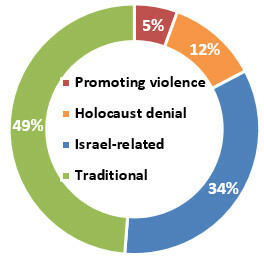 The report also outlines where each type of antisemitism occurs, with content promoting violence against Jews far more likely to be found on Twitter (63% on Twitter, 23% on YouTube and 14% on Facebook), while content promoting Holocaust denial was more likely to be found on YouTube (44% YouTube, 38% Twitter, 18% Facebook). The report highlights significant variations in the responses of the social media companies to online antisemitism. More significantly, the response by each company was found to vary depending on the nature of the antisemitism. The best response rates came from Facebook where content promoting violence against Jews has a 75% chance of eventually being removed. The worst case was YouTube videos containing New Antisemitism, that is antisemitism related to the State of Israel, where only 4% has been removed after more than 10 months. The Australian discusses OHPI’s report on antisemitism. 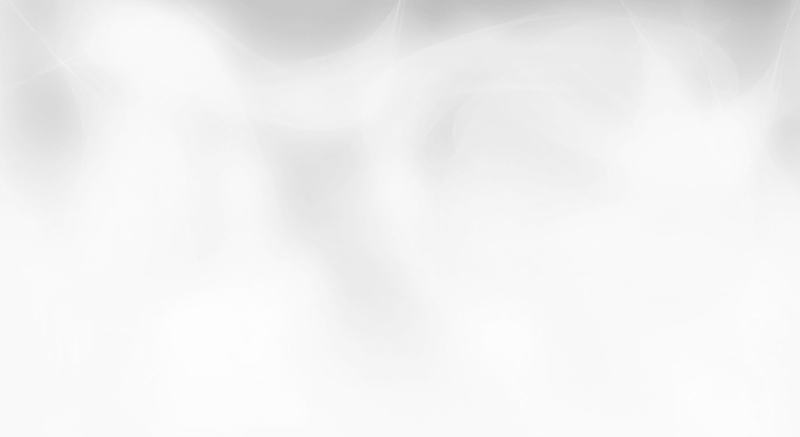 Joint Press Release on Holocaust Memorial Day, International Press Association. Report on Antisemitism on Social Media, Jewish.Org.Pl. 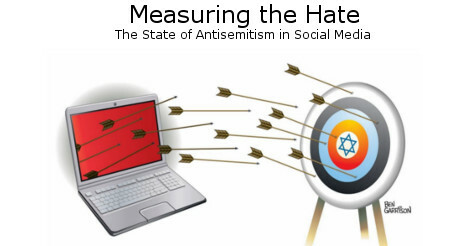 Global Forum on Antisemitism distributes report on social media hate, European Jewish Congress, Feb 4, 2015. The announcement of this report’s release and of Holocaust Memorial Day led to an outpouring of antisemitic responses. A few are presented and discussed in this briefing. The Online Hate Prevention Institute’s reports are released for free to increase their impact. The work is made possible by public donations, you can donate to help support this vital work. You can also support OHPI on our Facebook page and stay updated by joining our mailing list.